← Help Us to Celebrate on Canada Day! 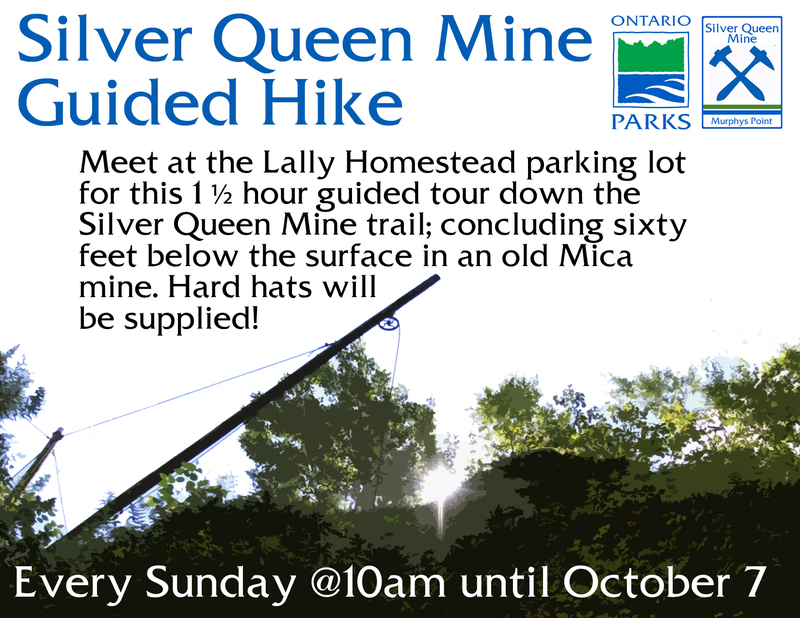 Join park staff and the Friends of Murphys Point this Sunday, July 12 from 10 a.m. to 12:30 p.m. for a Heritage Mica Days event – an Open House at the Silver Queen Mine! 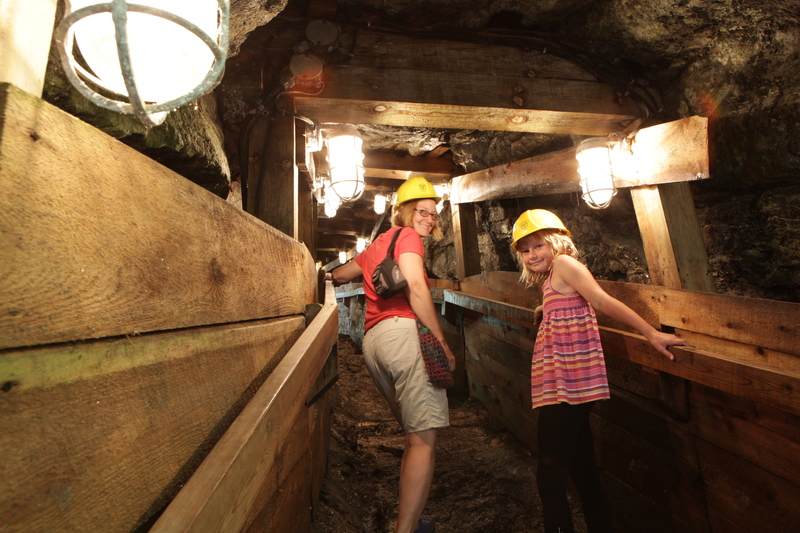 Picture this: The year is 1908 and the Silver Queen Mine is in its heyday of operation! Venture down the trail and into the mine. Meet up with characters from days gone by along the way. Actually…you don’t need to picture it. Just come! A daily vehicle or camping permit can be purchased at the park, and parking is available at the Lally Homestead. This entry was posted in children's activities, Friends of Murphys Point, Heritage Mica Days, Lally, Lally Homestead, mica mine, Murphys Point, Murphys Point events, Murphys Point Provincial Park, Seven Wonders of Lanark County, Silver Queen Mine, Tay Valley Township and tagged Friends of Murphys Point Park, heritage mica days, mica mine, Murphys Point Provincial Park, Silver Queen Mine, tay valley township. Bookmark the permalink.